Well it’s official… Sydney’s appetite for US singer songwriter Ben Harper is completely insatiable. While his shows in both Melbourne and Brisbane continue to sell steadily, it’s in Sydney where his fans have been the most passionate. Within days of going on sale, a second Sydney show was added, then a third. 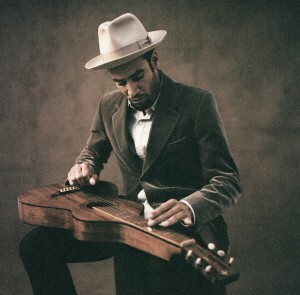 Now organisers have revealed that there’s to be a fourth (and most definitely final) Ben Harper date at the Sydney Opera House during his November visit, even though the last one was due to be the last! Ben will be tell his one-man story in acoustic mode, playing tracks from across his 18 year career, including from his latest LP ‘Give Till It’s Gone’. And with shows running at two hours each, you’re getting plenty of bang for your buck. Tickets for the final show are on sale this Thursday, with pre-sale ‘go’ from 10am tomorrow.